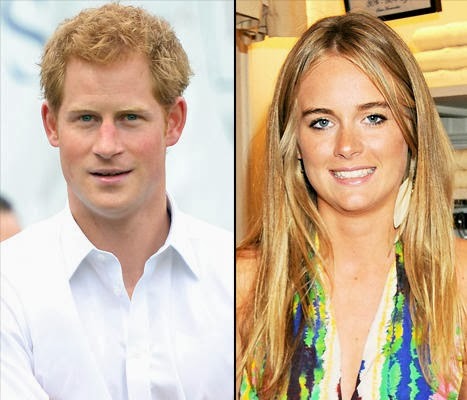 Clever Bulletin: Prince Harry, Cressida Bonas Will "Be Engaged Next Year"
Prince Harry, Cressida Bonas Will "Be Engaged Next Year"
Could another royal wedding be on the horizon? It certainly seems that way! Prince Harry's romance with Cressida Bonas is heating up, and insiders say the couple may be headed for the altar sooner rather than later. "He loves her -- they're so compatible," a source reveals in the new issue of Us Weekly. "Cressie is very laid-back and he likes that. If all goes well, I'm 100 percent sure they'll be engaged next year." Introduced by Harry's cousin Princess Eugenie, the redheaded royal and the dance school grad, 24, were first linked in June 2012, when they attended a party in London with friends. Prior to that, Harry's most high-profile relationship was with Chelsea Davy, whom he dated on and off for five years until 2009. Shortly before stepping out with Bonas, the daughter of 1960s cover girl Lady Mary-Gaye Georgiana Lorna Curzon, the prince spoke of wanting to settle down and start a family. "I've longed for kids since I was very, very young," he told Katie Couric in May 2012, during an interview for the ABC special The Jubilee Queen. "And so I'm just waiting to find the right person, someone who's willing to take on the job." This article originally appeared on Usmagazine.com: Prince Harry, Cressida Bonas Are "So Compatible," Will "Be Engaged Next Year"